28th March 2019, Sydney: Fishburners, Australia’s largest startup community, has appointed senior leader and social enterprise champion Nicole O’Brien as its new CEO. Ms O’Brien will take over the role from outgoing CEO Pandora Shelley in April, who completes her successful eight-year career at Fishburners in March to pursue overseas opportunities. 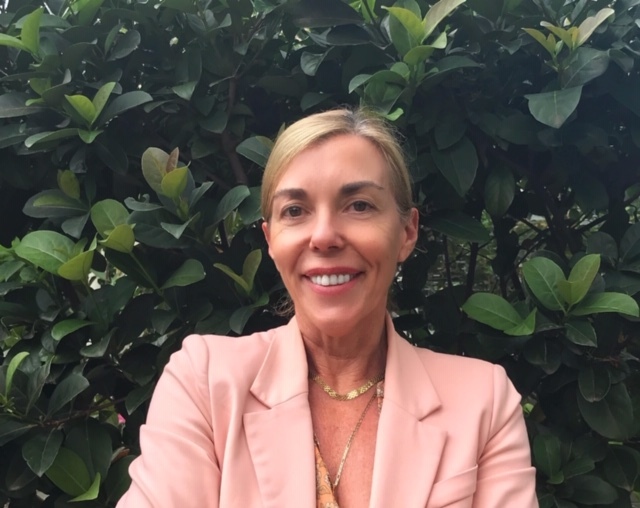 Ms O’Brien’s most recent role has been with ACON Health, as Company Secretary and head of strategic and business planning functions, commercial operations, finance, HR, IT, risk management, and marketing and fundraising. Established in 1985, ACON works to end HIV transmission among gay and homosexually active men, and promote the lifelong health of LGBTI people and people with HIV. Prior to joining ACON, Ms O’Brien spent a decade at YWCA NSW. Her role as Director of Marketing was a pivotal one for the charity which raises funds through profit-for-purpose businesses, donations and government grants to improve gender equality and eliminate violence against women. Fishburners Board Chair Dr Katherine Woodthorpe AO said Ms O’Brien was chosen after an extensive executive search, standing out amongst an outstanding selection of candidates for her powerful track-record within the areas of community-building, partnerships and non-profit. “Nicole received unanimous support from our board as the right person to lead Fishburners into its next decade, as we support and champion the interests of our diverse community of Australian entrepreneurs. She has enormous passion for improving lives and communities and has worked to create a powerful impact with social enterprises in the not-for-profit sector since 1989. Nicole is also very accomplished in creating financial sustainability in the non-profit sector, commercial services, strategy, governance and risk, and marketing and fundraising. “We were thrilled with the overwhelming interest and response to the Fishburners role. It’s a testament to the impact Fishburners has had both in Australia and internationally since it launched in 2011, and we have enormous gratitude to Pandora for her contribution to building such a powerful community brand in her many leadership roles over the past eight years,” said Dr Woodthorpe. Ms O’Brien said she is looking forward to applying her leadership skills to foster the growth of startups, enabling them to create their own success stories. Ms O’Brien joins Fishburners after a record-breaking year of growth. With a talented and expanding team, the Fishburners membership has grown significantly, supported by the expansion of new offices in Brisbane, Sydney and the launch of Fishburners virtual platform. Fishburners also boasts numerous partnerships established or strengthened with the community over the past 18 months, including Google for Startups, Jobs for NSW, Brisbane City Council, UTS, Optus and Chartered Accountants ANZ. Dr Woodthorpe thanked Ms Shelley for her commitment to Fishburners as CEO and prior to that as head of community. “Fishburners is at its heart a community of entrepreneurs and Pandora’s contribution over her eight years on our team has been fundamental to our work in that area. She will be enormously missed, but she leaves with our gratitude and best wishes as she takes her Aussie startup expertise into new offshore opportunities,” she said. About Fishburners: Fishburners hosts Australia’s largest startup community – with 383 startups and 728 entrepreneurs across the Sydney and Brisbane hubs, as well as over 100 virtual members. A recent survey recorded that in 2018 Fishburners members achieved approximately $65 million in sales, raised around $40 million in investment and created close to 1,000 jobs. As one of Australia’s first startup spaces, more than 2,000 startup entities have been part of the not-for-profit operations since it opened, including high-profile alumni such as Koala, GoCatch, graphic design marketplace DesignCrowd, Code Camp, Tinybeans, Madpaws, Jayride, GradConnection and Hyper Anna. Fishburners is also home to Australia’s largest event space dedicated to startups and entrepreneurship and has hosted well over 4,000 startup-focused events since opening.